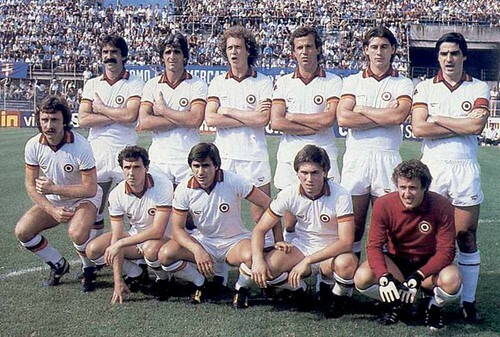 As our Roma threads still do not boast a "Legends" section, it's at least time we had an art gallery to pay tribute to both past and present stars, with the emphasis on images posted being that they actually represent a significant piece of club history. That said, welcome to Miko Romane...galleria di arte! 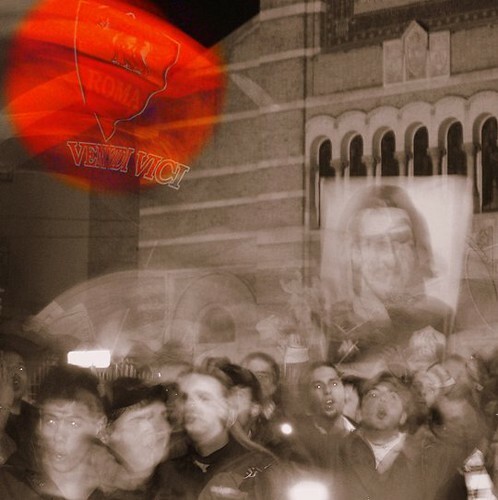 Where else could we possibly begin than with il muro di un palazzo della Garbatella, our 2001 Scudetto! << Il Principe >> as we were used to seeing him! and here as an azzurro at the 1988 European Championships, the only "Romano" called. On the subject of true Roman legends, this autographed print of Bruno Conti is currently on special offer at e-bay. As is this one of him during Italy's 3-1 World Cup victory over Germany in 1982! Bruno pictured with another of my favourite lupi, striker Rudi Voeller! 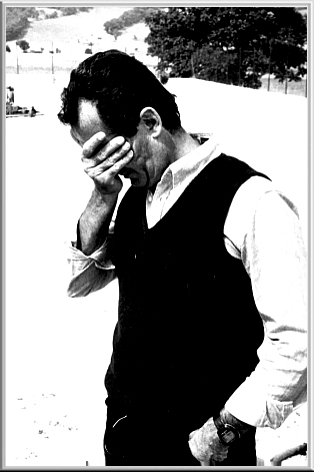 << Il Bomber >> Roberto Pruzzo, another true Roman hero! If we only had him in his prime now! We Italians love to show our affection and this is indeed an accurate tribute to Pruzzo! "Trio delle Meraviglie" (Totti-Montella-Batistuta) They took us to lo scudetto! Sebino Nela MUST be mentioned. Could play either left or right back. Another guy we could really use now if it was only possible! I've loads more to post, guys like Berthold and Haessler for example, to say nothing of the unsung heroes like Di Biaggio! I hope the rest of you contribute to this, our latest Roma thread! Very nice thread Carlo. We do have an Ago thread which Giovanni started but perhaps there hasn't been as much posting there as is deserved. I think there is also a De Rossi homage thread, which will continue to grow no doubt. You've some excellent pictures in here anyway, and certainly I have some to contribute in time. Ed, I'll keep trying to find the "unusual" images for us. 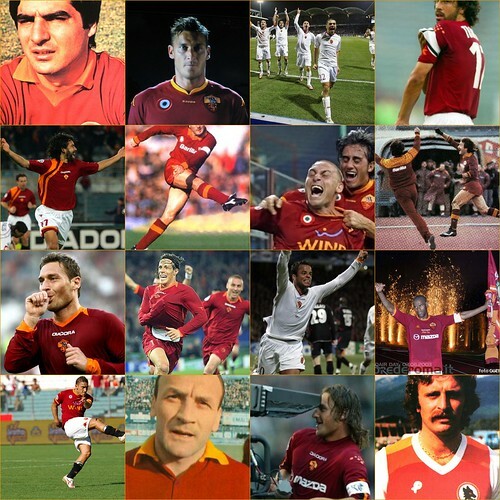 Eventually I hope to finish my Roma Legends tribute, though doing it justice is not easy! In the meantime this is certainly a rarity and is of Paolo Roberto Falcao, one of our two greatest ever Brazilians! The accompanying text to the pic uses his nickname of "L'ottavo re di Roma: Falcao" which is of course, Falcao, the eighth king of Rome! 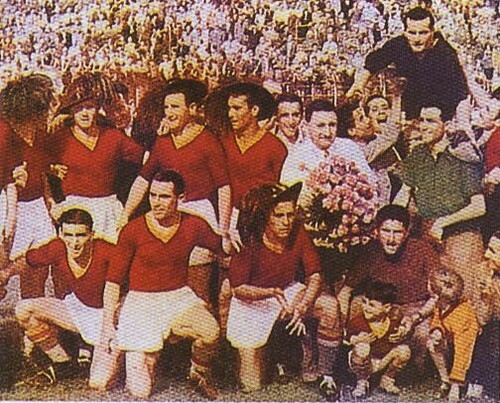 The text below it tells us that this autographed image is the first in the photograph album of the "divine" of the giallorossi! A link to some of his goals, and note near the start of the film clip, the wooden plaque telling us he was the eighth king of Rome! 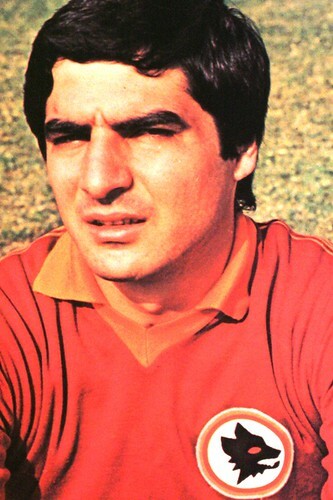 One of the most unfortunate players in the history of Roma. Injuries killed what would have been a stellar career. Currently Italy's under 20 coach. 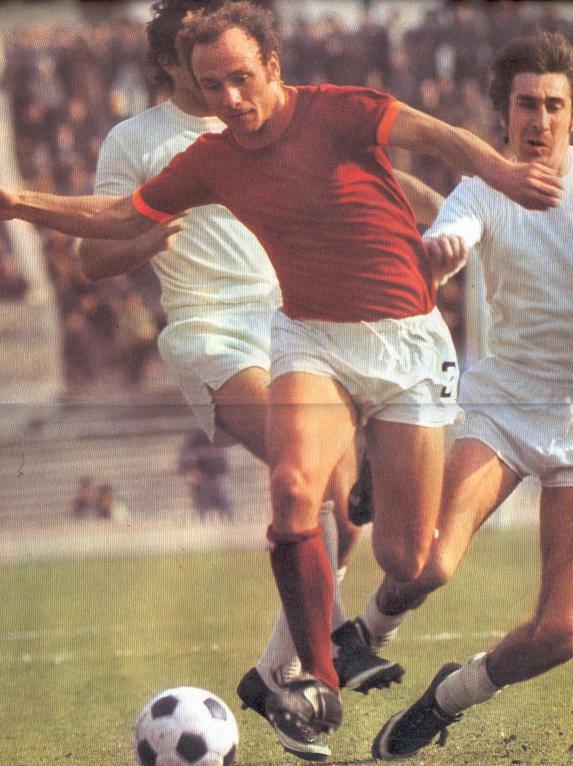 I looked up Wikipedia and found he played 163 games (141 in Serie A and 22 in la Coppa Italia) exclusively with Roma between 1972-81 but didn't score any goals though he did get one for la nostra nazionale in a friendly against the U.S.A. It wasn't until I saw our U-20's in the youth World Cup in Egypt a couple of months ago that I realised he is the same Francesco Rocca...that shaved head does him no favours! As you will know, we were very much hit and miss performers during that tournament though there are some promising lads including two of our own primavere who are regular starters for him, Della Penna and Crescenzi. We don't get much chance to see them and I must say I am particularly impressed with Crescenzi, a very good future senior right back in the making. Della Penna too, is a good scrapper in midfield. As for Rocca, it may just be he will replace Casiraghi with the U-21 side, going by the gossip. 1996-97: 32, 2 1997-98: 28, 3 1998-99: 27, 0 1999-00: 34, 1 2000-01: 15, 0 2001-02: 16, 0 2002-03: 17, 0. The club has retired the number 6 jersey after the retirement of our Brazilian World Cup winning defender. 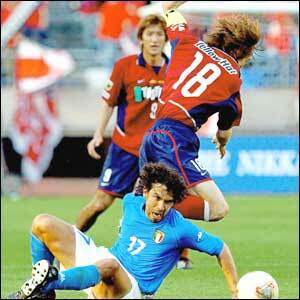 When he left us, June 2'nd 2003 was made "Aldair Day," with a special match in his honour. No, I don't think so, somehow! 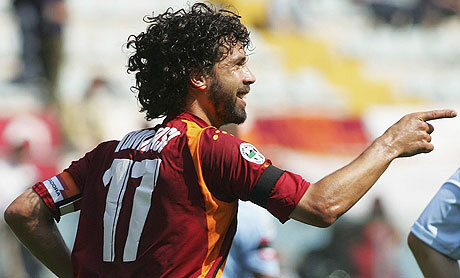 One of our more recent players, the great midfield general Damiano Tommasi, who has recently retired altogether from football. A true gladiator and legend of a player, honest and proud both on and the pitch. Ed, like I said to Gio...Tommasi never always got the praise he deserved but you could see the difference immediately if he came on as a sub both for our Lupi and for Italia! As a starter he worked away and made his presence count even if not in a glamorous way. Ah...a practised hand at work. 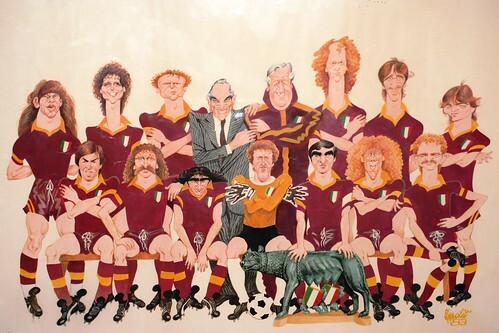 The cartoon of the 1983 Scudetto squad is absolutely priceless! I'm not sure what our avvocato will make of Dino Viola who looks more like an elderly artista della lama... a Camorra blade in that pinstripe! Or Conti with his almost single eyebrow and I'm still laughing at Falcao's receding perm! Pruzzo is about right as are Tancredi, Nela, and Vierchowod. Ago looks fittingly severe! As it happens it's a good likeness of them all which is much more than can be said for many Pannini and other cartoons!. Last edited by Italiamia on Sat Dec 12, 2009 8:56 am, edited 2 times in total. Ed-zo, that is the San Siro. I've only been there one time in my life. 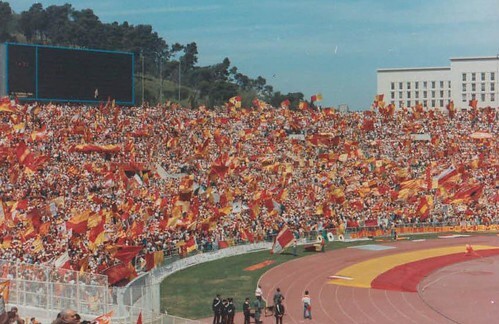 Anyway, my purpose in starting this thread is to illustrate that there is more to being a Roma fan than just watching a match on a Sunday afternoon. This is what I try to emphasize to fans of other clubs. The team is one of the many things that bind the people of the city but it is Rome itself that serves as the catalyst for the passion we see in Romans and Roma fans. Romans are loyal to the city and the culture that has developed over thousands of years. Every Roman has an indelible psycholigical mark as a result of living in Rome. This is one of the reasons me, and others like me prefer to see Roman born players on the team. I realise that most of you cannot speak Italian but the following is a further example of what I am talking about. 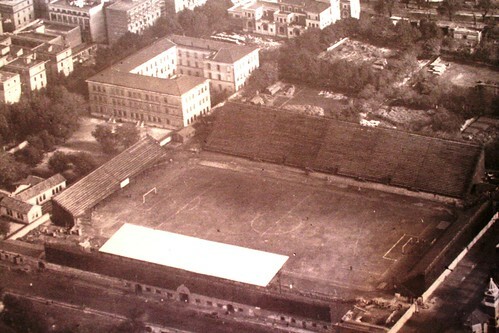 It's called "The Rome that I know" with the voices of Totti, De Rossi, Curci and Aquilani. When I have some time, I will translate what each are saying. When I ask if you all want to be in the 'inner circle' it is not just a rhetorical exercise. When Totti says: "La Roma che conosco, non la conosci mai.."['the Rome that I know you'll never know'] he really means it. The song is an abbreviated version of "Roma, nun fa la stupida sta sera". Last edited by Italiamia on Sat Dec 12, 2009 7:39 pm, edited 2 times in total. I can speak some Italian, but I call it my 'tourist Italian', which is enough to get me around, but not enough to carry on much of a conversation other than the basics. I blame that on the fact that I don't go there often enough! I studied art in Italy one summer, and at the end of the summer, my Italian was a lot better than now. I recognize Roman dialect when I hear it for the most part (even if some of it is incomprehensible to me). On my last trip I was sitting in the airport in Palermo with my friend and there was a group of guys behind us and I quietly said that I thought they were speaking Roman dialect. The funny thing was, a few minutes later, I heard one of them telling his friends to 'speak Italian'. When I got up later and saw them, they were wearing some sort of Lazio (region, not team!) shirts, so I guess I was right more or less about what they were speaking. I just knew they sounded sort of like Totti and De Rossi!